Fuel us: Yes! We get energy from food, so eating breakfast can give us the energy we need to start the day off right. Increase our metabolism: Yes! When we sleep, our metabolisms slow down naturally because we are fasting. By eating breakfast within 1 hour of waking up, our metabolism will speed back to normal and we’ll efficiently digest and use our food. Maintain our blood sugars: Yes! A high fiber (12-15 grams of fiber) & a high protein (7-14 grams of protein) breakfast help to control our blood sugars better so we don’t get shaky later on. Control our hunger: Yes! 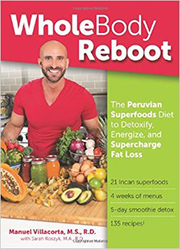 When we eat before extreme hunger sets in, we can control our food choices and our cravings better and stay efficiently energized and fueled. Improve our brain function: Yes! We can concentrate better, be more productive, and retain more information when we have fuel in our systems. The Classic Cereal Or Oatmeal Fiesta: Yes: my tried & true Cereal or Oatmeal + 1 cup of berries (blueberries, strawberries, raspberries, you name the berry, it’s your choice) + 2 Tbsp of ground flax meal or 1 Tbsp of Chia seeds + 1 cup of milk. This gives you protein, fiber, Omega-3s, antioxidants, and fills you up like no other! A true classic for the entire family. 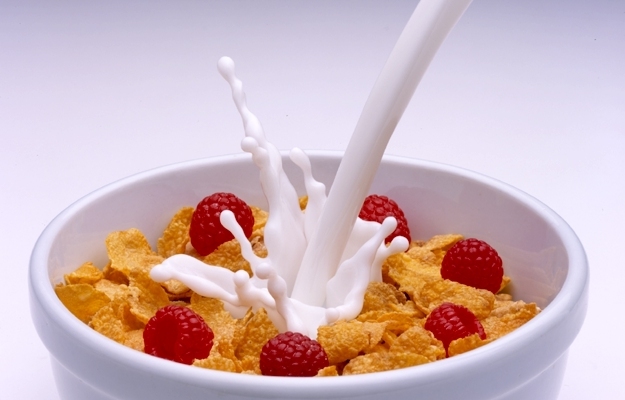 Click for a list of the best cereals to buy and how to read a cereal label. Smoothie Central: Smoothies are a great way to get protein and fiber in one container. 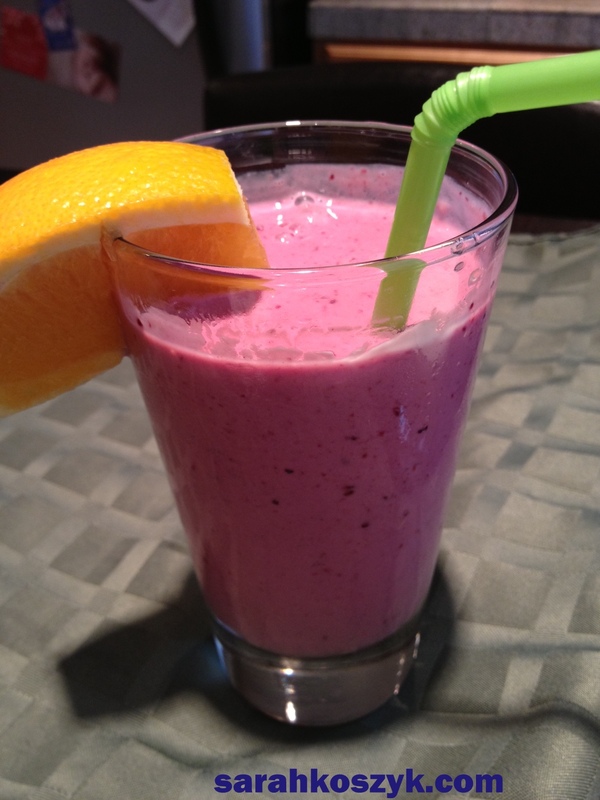 Here are a ton of Smoothie combos. Make sure to add ground flaxmeal or Chia seeds into your smoothie for extra Omega-3s & fiber! Using Greek yogurt will boost that protein kick, too. Sweet Potato Surprise: Sweet potatoes are so delicious and fantastic for breakfast! Talk about antioxidant central from the beta-carotene which is great for skin & eye health. They also contain Vitamin C, Vitamin E, & Fiber! Roast a bunch of sweet potatoes. (Chop into big chunks. Put in a roasting pan and bake for 45 minutes at 450 degrees bake). Top with yogurt for protein and sprinkle with cinnamon. You can eat a fruit on the side, too. So colorful and delicious. I like to bake the sweet potatoes on the weekend when I have more time and heat them up during the week for a quick, easy assembly. 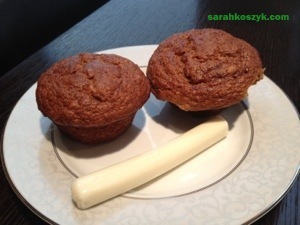 Muffins: These Applesauce banana muffins are very low fat and made with real fruit. Make on a Sunday so you have the muffins throughout the week. Eat with a cup of Greek Yogurt for protein and you have your complete meal. 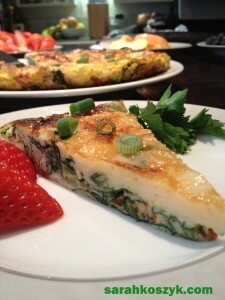 Frittatas: I love the protein-packed frittata because you can make it ahead of time and divvy it up into pre-wrapped meals to grab-n-go for the start of the day. Eat with a fruit and a slice of whole wheat toast for a complete meal and fiber. Here’s my Red Pepper, Spinach, & Cheese Frittata recipe. What’s your breakfast of choice?